Lamb Knitting Machine Corporation proudly celebrates our 150th year of manufacturing knitting machines and associated equipment. 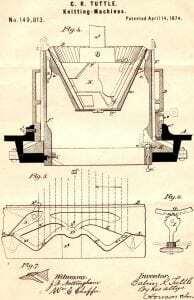 In 1867, LAMB started production of the first V-Bed flat knitting machine patented by Pastor Isaac W. Lamb. In those early years, LAMB also manufactured the popular Tuttle Machine, a hand cranked sock knitter under the 1874 patent of Dr. Tuttle. 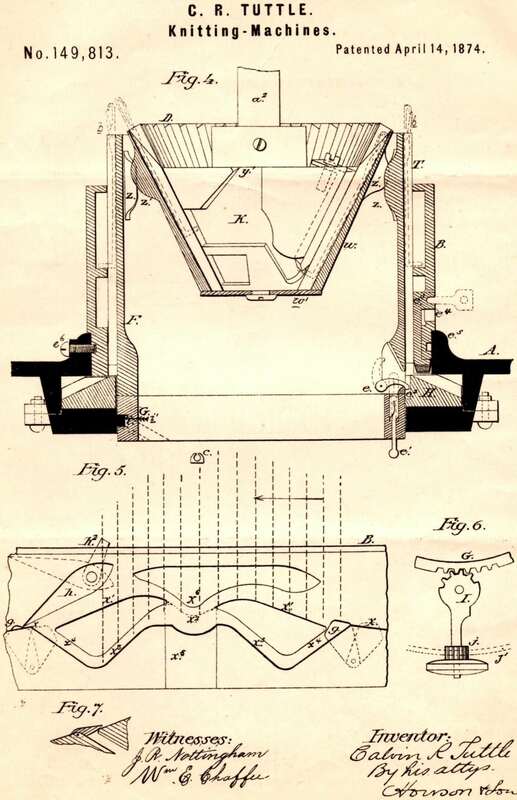 The Tuttle was widely used in hosiery mills into the early 20th century, as noted by Richard M. Candee in his book, “The Hand-Cranked Knitter and Sock Machine”. To commemorate our anniversary, we are excited to announce the development of our new LT150 Circular Sock Knitting Machine, a modern revision of the original Tuttle. With encouragement and assistance from Barry Travis, Candy Terry, Seth Blackwell, Mary Coburn, and Fred Hauck, we are re-engineering the Tuttle concept to give the hobbyist, textile student and textile educator a manually operated knitting machine that will be more versatile and simpler to use than the original Tuttle. We would like to thank all of our customers who made the past century and a half possible. LAMB remains committed to designing and improving knitting machinery equipment and providing exceptional customer service to our customers for years to come. The VR1021 replaces the VR621 and offers a longer needle bed with 10-inches of needles on both the front & back plates. LAMB’s first six head circular warp knitting machine, the MHAC-6 is designed for knitting yarns and soft cords and is equipped with a six spool traversing roll-up.